While the Nene Valley Railway is famous for its international locomotives and famous guest locos for their galas, with the names of Tornado, Bitten and Flying Scotsman just to name a few, many of the industrial locomotives can be left out. 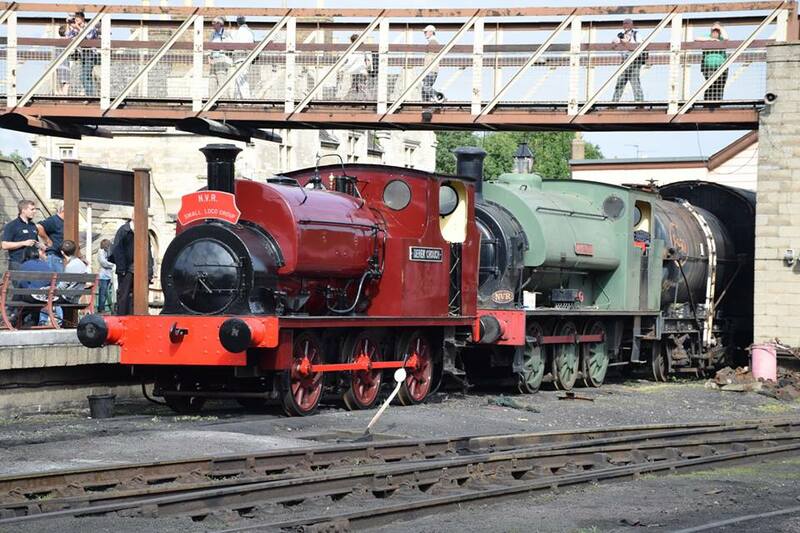 Well, that changed with the Nene Valley Railway Small Loco Group, which aims to cosmetically (and fully, when workshop space and money are available) restore many of the industrial tank engines that have been in the NVR’s yard for quite a while. They are the controlling group of Derek Crouch, Jacks Green, a J94 and Tinkerbell. While Tinkerbell has been in the workshops for over 10 years now, the other three have been in the yard waiting for their turn. With Jacks Green near the turntable so children, young and old, could look into the cab, and the J94 at the back of the sheds, undercover, Derek Crouch sat in the yard unloved and forlorn. 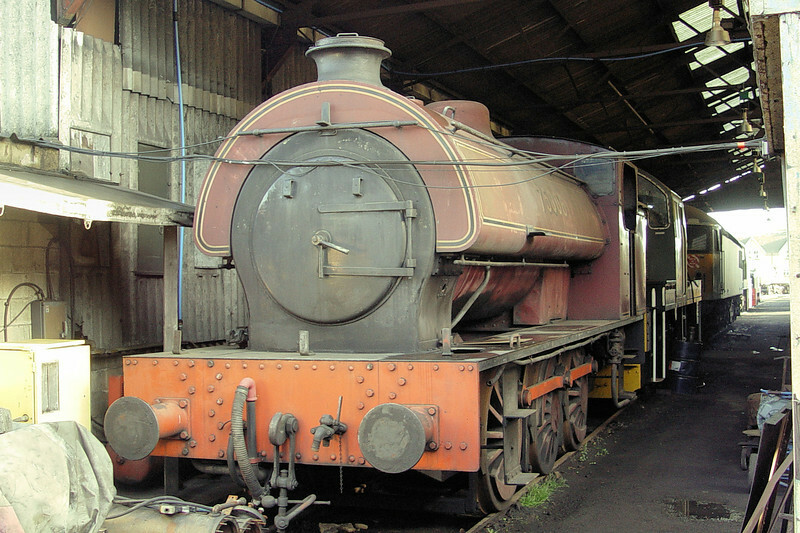 In January 2012, he was pushed into the sheds for a cosmetic restoration. 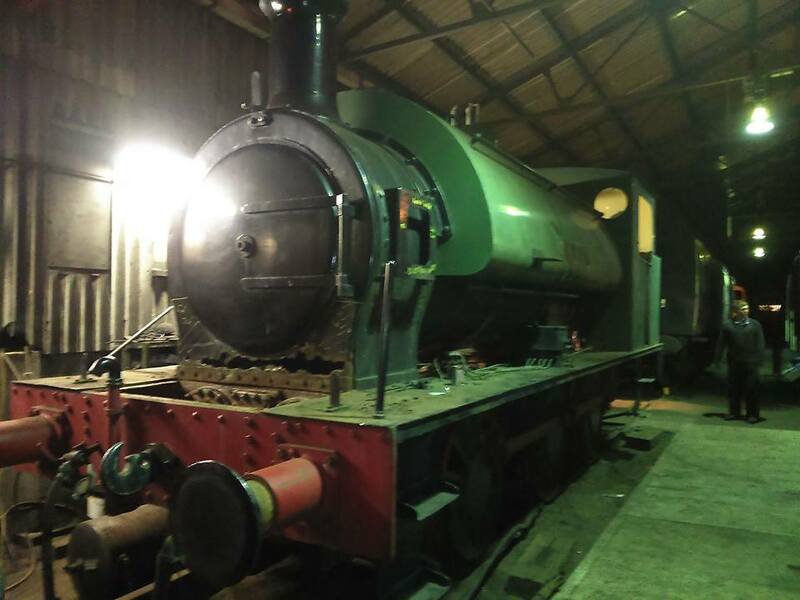 Frequent updates of his progress were shown on the Facebook page, showing the unusual nature of this locomotive, like when they took the tank off to do some welding, and we took the cladding, the boiler still had the silver paint from its overhaul 40 years ago! In the picture below, you can see how different he looks with his tank! Last weekend, he returned at the annual diesel gala, where he was the smartest locomotive in the yard, quite a contrast from 3 years ago, when he looked like he was on the scrap line. We never doubted that this plucky locomotive would not bounce back into the limelight. 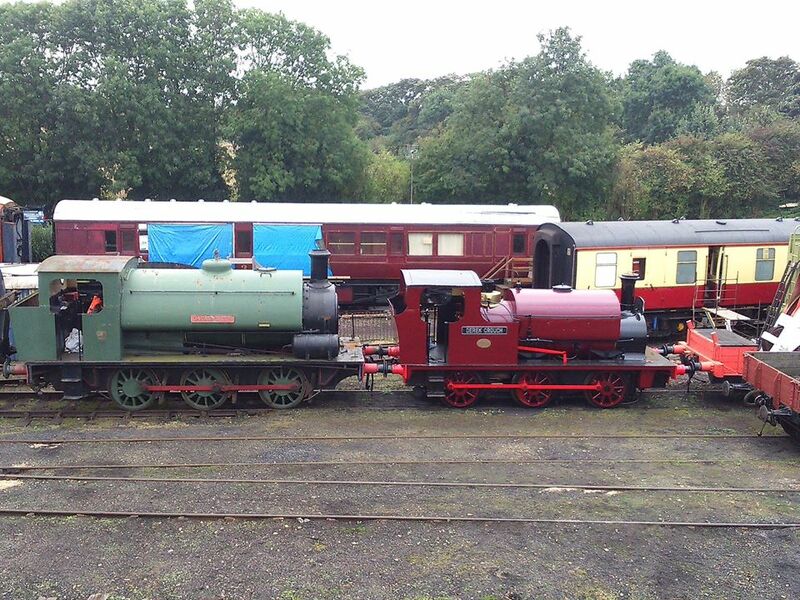 Derek Crouch has a colourful history and was the Nene Valley’s first engine. 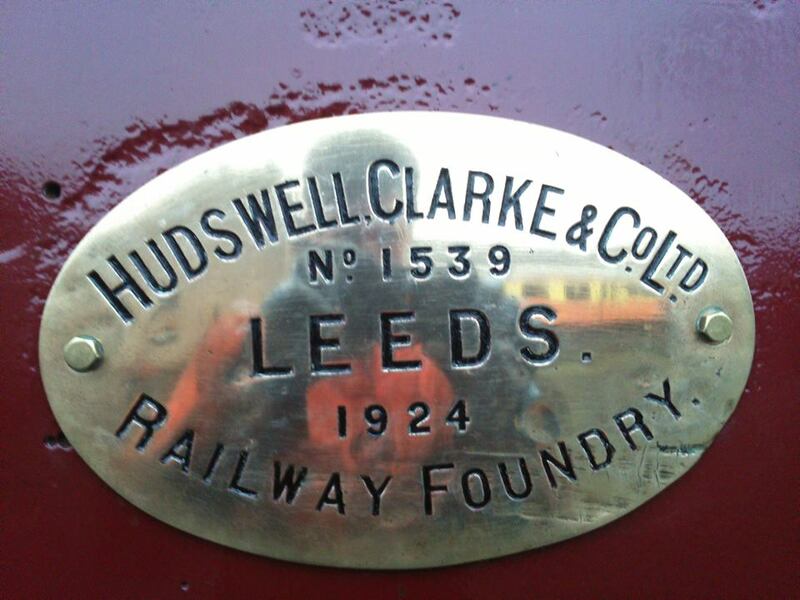 Built in 1924 by Hudswell Clarke, this was one of the many engines that made up industrial and construction work. Its’ sister engine, Wissington is at the North Norfolk Railway and is owned by the Midland and Great Northern Joint Railway Society (M&GN). For the future of the society, Jacks Green will be the next for cosmetic restoration and will be competing with Derek Crouch as the smartest tank engine in the country in a few years time, returning in full Nassington Quarry Livery, where it spent its working life, along with sister locomotive, Ring Haw, which, ironically, is at the North Norfolk Railway. 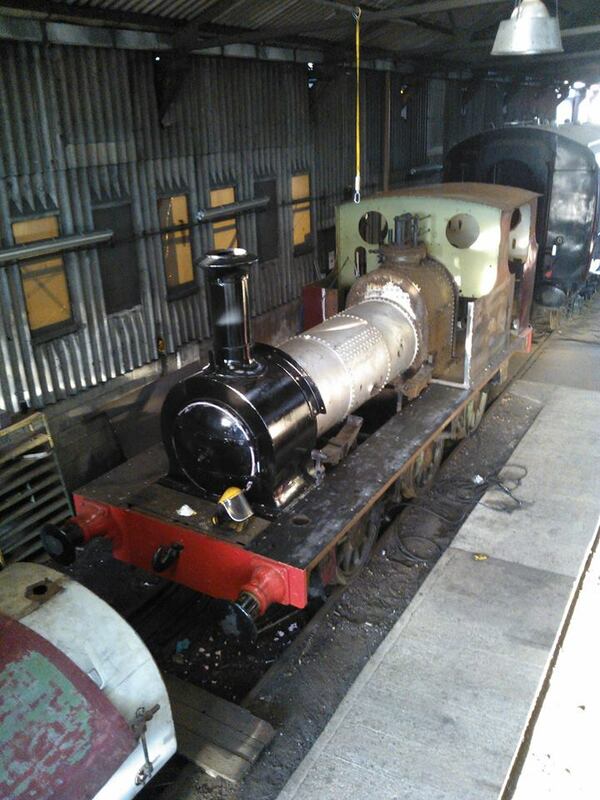 He is already in the sheds for his cosmetic overhaul and will return in a few years time. After that, J94 75006 will enter the works for a full cosmetic restoration into BR Black, with a new number 68081. She is still at the back of the running sheds, but has been pushed back to protect her from the elements. And finally, Tinkerbell, while a small temporarily on hold, while Thomas takes up the new shed. With her center driving wheel in the new shed, not much can be done until the chassis is rolled back in. Once back in, the front driving wheels will be coming out so the front axle boxes can be re-whitemetaled, once that is done. the crank pins can go into the center driving wheels, a little bit of work to do in the cylinder area, and then the chassis can simply be re-assembled. 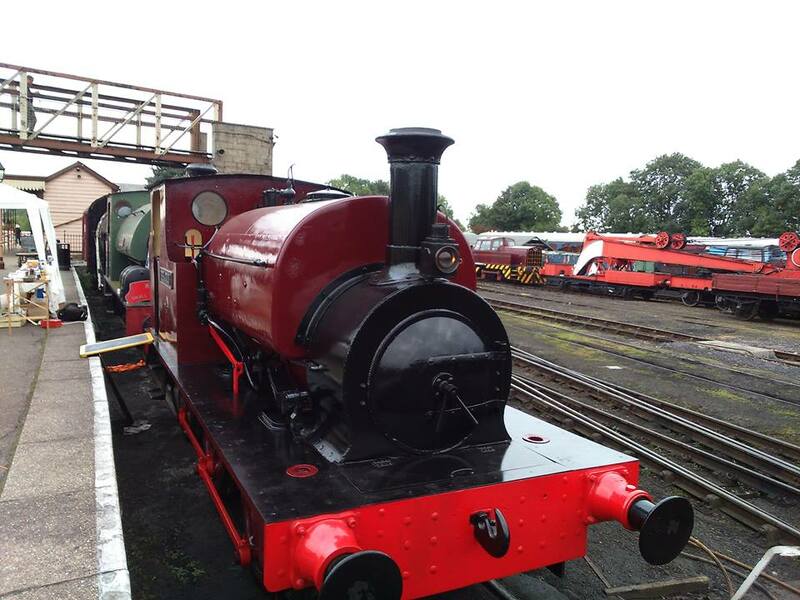 £20,000 is needed to finish the locomotive, and the boiler will be done in-house to train people up in the art of boilerwork. 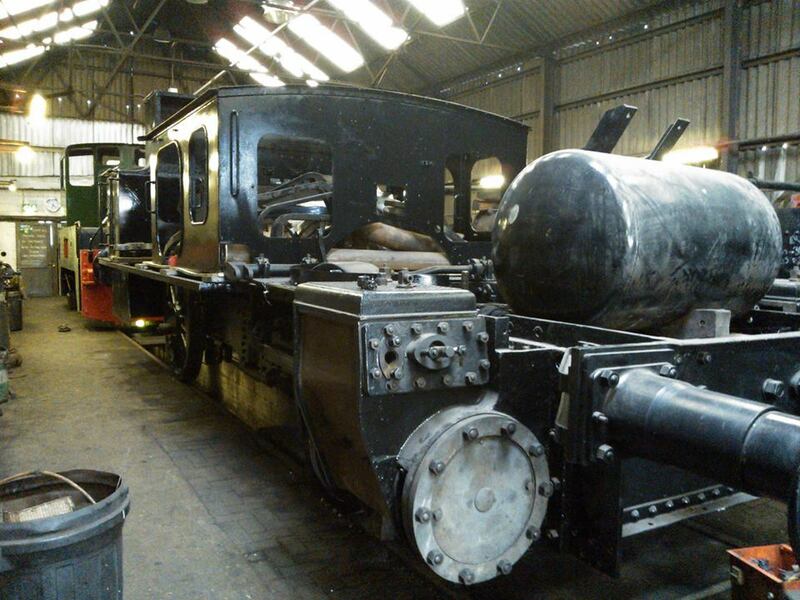 When she once restored, she’ll be the only working standard gauge locomotive with Allan valve gear. The group are still looking for new members, and don’t worry about not having the skills, Joe Fitzjohn said “that is how WE started when we started Derek Crouch. We can teach you as you go along, so don’t be shy to get stuck in if you’re interested”. I think that is a great opportunity and the projects for the years ahead look marvellous. I look forward to the rest of their fleet getting the love and care they deserve.